I have a particular fondness for rough hand hewn lumber nurtured actively during my childhood years by Laura Ingalls Wilder's Little House in the Big Woods. Laura's father "Pa" Ingalls built many a log cabin for his family with only a hand ax. I actually do not know many such men who could do this now- certainly not my own amiable father. My own Pa Hugo is a man of multiple talents including enjoyment of delicious raw sea creatures but none of his abundant skills involve any form of sweat-inducing manual labor. 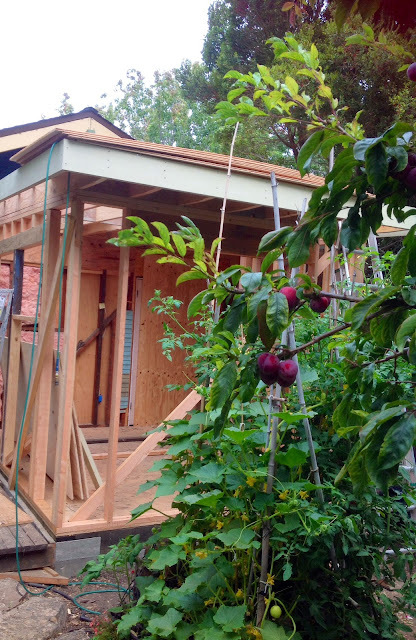 My sweet husband could build us a cosy hand hewn cabin if he had the will. However, I dare not ask him to square raw logs by hand in this age of power tools and milled lumber. I need him to spend his precious time on my custom desk, tea cabinetry, wiring, plumbing, tiling, grouting, cladding, decking, window and staircase installation and more. 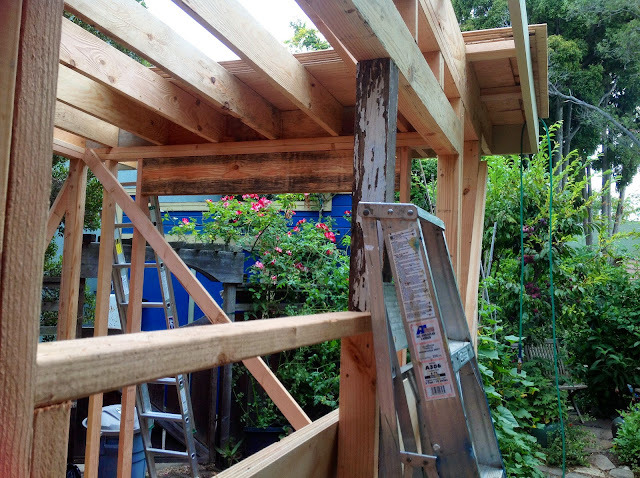 Thankfully we can rely on reclaimed barn beams to bring back this bygone era of hand milling. 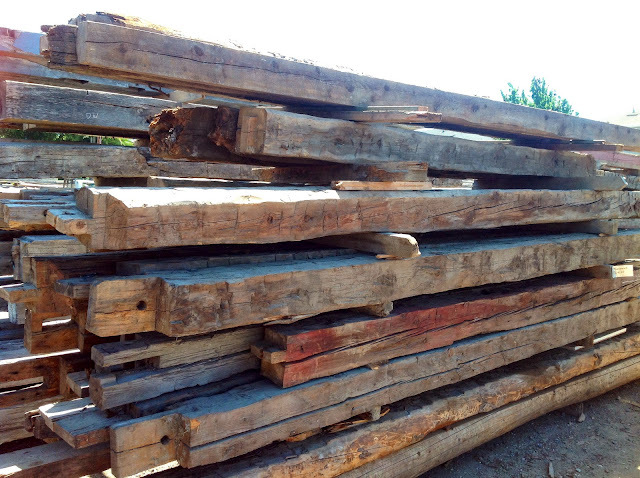 The above stack of century old tamarack beams came from a farm in Washington state. 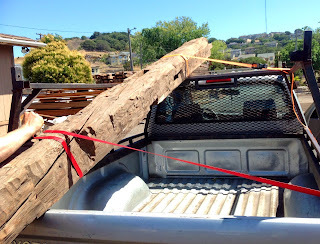 Of course holding up a barn means that these here beams saw plenty of live-stock action. When you wash the mud off them, they smell of hay but nothing as offensive as a young ripe shu. Such a structural piece once set cannot be readily undone so you really must be sure of yourself. I actually picked out my beam from the stack in an instant. All those decades of scrutinizing wood grains and hand cuts apparently paid off so I knew what I wanted. Only if I had such confidence with my puerh selection. We lugged this beauty home pleased as punch. When there is only one readily-accessible purveyor of a desired good, it's important to want what they have in hand. 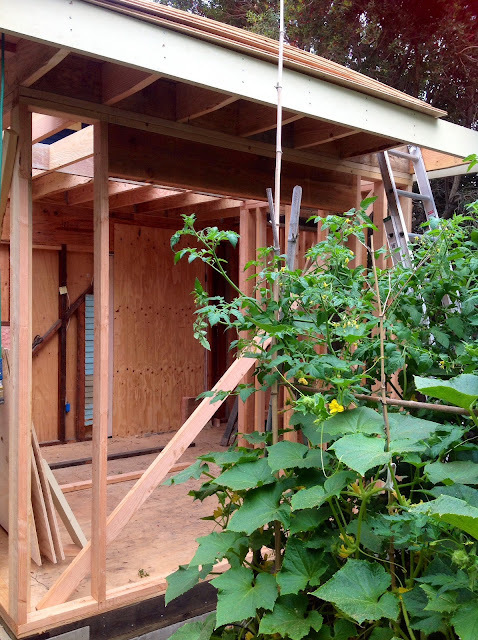 My little home has been under massive construction. I have long desired a dedicated room for all things I love- tea, writing, and maps. My tiny plot barely allows for a vegetable patch or two, but I've finally sacrificed the valuable gardening space. We had to prematurely pull two squash bushes and relocate herbs to make way. My dear husband will build custom tea cabinets so I can continue hoarding. It really must be hoarding. I pathologically bought a few pounds more tea last week and am too sheepish even to mention the contents. I'm itching to make another order. Every day I come home and sit inside the new space fantasizing about the new organization scheme I can enforce. Currently, beengs and bricks are squished in any way they will fit which offends my sense of order. Still grouping by style, shape, factory, region, and year is not always straight forward. 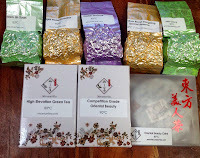 I'll probably have to move teas gradually to determine storage worthiness . I'll move a few lesser beengs for a month and monitor moisture and to dim the smells of new construction. I have no shortage of such strong scented budget puerh to prep and saturate the boards. I severely interrogated my poor husband during dinner about possibility of mold or mildew but he insists the insulation and vapor barrier would prevent such a disaster. Still I'm a nervous nelly- pu once ruined is ruined forever. The plan is to put in a roof deck with an outdoor sink so I can have a new space to brew tea. I love plans and even planning to brew in a novel setting makes me happy. I'm really cleaning out the tea closet. A true sign of a hoarder is a painful inability to part with any piece of their treasured hoard. 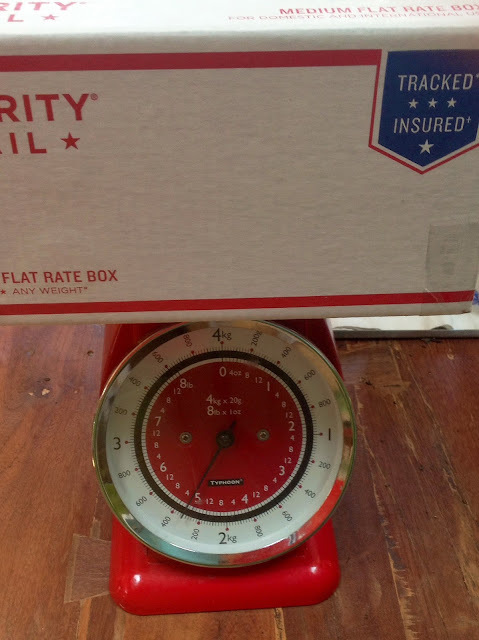 My first serious subtraction is a box of shu little over 5 pounds that I dropped off at the post office today. 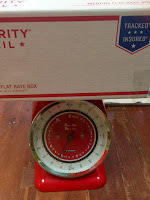 I have 10 more pounds ready to handover to a friend visiting from Hawaii this weekend. What's the first thing one should do after clearing out tea? Buy more tea of course... I limited myself to a small box of oolong as it's the only kind of tea my body tolerates these days. 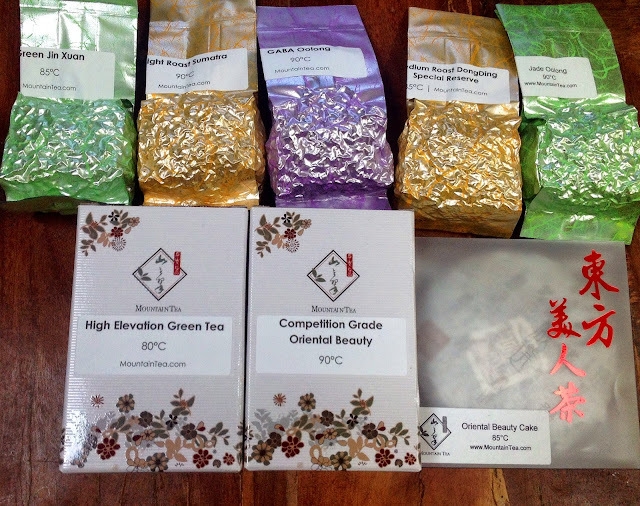 I ordered from mountaintea.com mainly because they ship from L.A. A box full of tea waiting on my front porch warms my heart like no other delivery. I ordered a spectrum of oolong to refind my preferences. I used to drink high mountain oolongs fifteen years ago when I didn't know too much about tea and thought they were quite the bee's knees. Who knows what I was actually drinking back then- probably some mediocre oolong marked up as Alishan. I probably would not have known any better back then either. You can see this vendor thoughtfully color coded their pouches to match oxidation levels with yellow being their light roasted oolong. The tea in the purple pouch is in a unique category of its own- it's an oolong oxidized in the presence of nitrogen to increase naturally occuring GABA levels. The Japanese came up with this discovery twenty years ago while experimenting with alternative preservation methods. Most humans probably could do with more GABA- a neurotransmitter which increases mental alertness as well as tones muscles. The reputed health claims of GABA are so wide and varied that if true- GABA would be a wonder drug. I don't have an entrance exam to take but I'm always keen to enhance my flagging mental functions. I was playing hooky today to go to the post office so the most mentally taxing thing I had to do was organize panda and polar bear photos on pinterest. I'm not sure I was the beneficiary of increased mental function but if GABA tea had such noticeable effects, should we not see it in almost every store that sells tea? But then America is not so much a hyper-competetive society and not all Americans actually want to be smarter or more focussed. In fact many citizens in Northern California prefer the opposite it seems. The tea was a pleasant affair - one notch above ho-hum and I'm not motivated to draw it out. I would probably not buy or drink this tea without the reputed health benenfits. 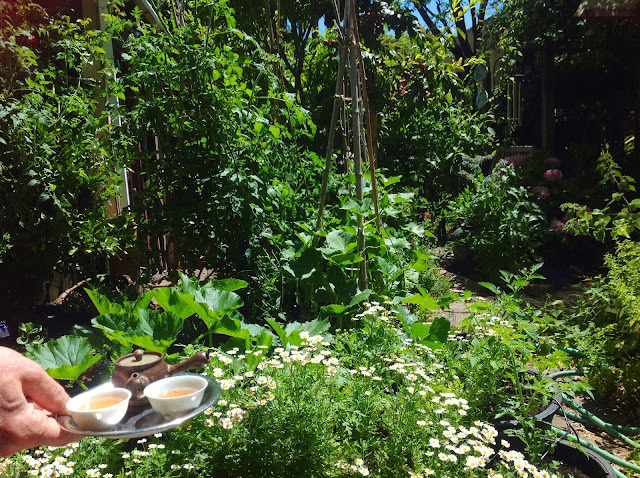 In the summer, I love sipping my tea in front of my squash and tomato patch contemplating novel ways of enjoying the summer veggies. After seeing me struggle with my ipad camera and wobbling tea plate, my husband sweetly volunteered to be the hand model in this shot.